King’s Chapel is an independent Christian unitarian congregation affiliated with the Unitarian Universalist Association that is “unitarian Christian in theology, Anglican in worship, and congregational in governance.” It was founded by Governor Sir Edmund Andros in 1686 as the first Anglican Church in New England during the reign of King James II. 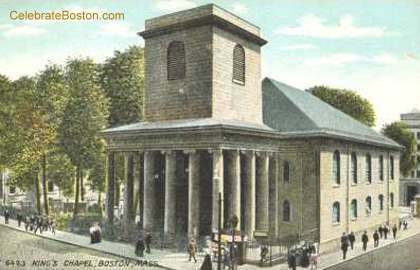 The original King’s Chapel was a wooden church situated on the public burying ground, now King’s Chapel Burying Ground, because no resident would sell land for a non-Calvinist church. In the years 1749-1754 the stone church was built around the wooden church. The wooden church was disassembled and removed through the windows of the new church. James Freeman, the first American preacher who identified himself as an Unitarian, was rector of King’s Chapel in the years 1787-1836. 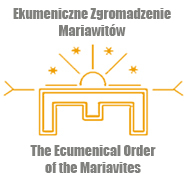 He considered Fausto Sozzini (1539-1604), one of the most prominent fathers of Unitarianism and from 1598 leader of Polish Arians, to be his theological master. His tomb is located in the estate of Luslawice, which now belongs to Krzysztof Penderecki. Freeman revised the Book of Common Prayer in the spirit of Unitarianism. This version of the Prayerbook is still used today. Although Freeman considered King’s Chapel to be an Episcopal church, Bishop Samuel Seabury refused to ordain him. The Church Wardens decided then to organize Freeman’s ordination on their own, thus confirming the break with the Episcopal Church. When will they ever learn? When will they ever learn? ©1961 (Renewed) Fall River Music Inc All Rights Reserved. My question today is this: When will we ever learn, that we are all one? When will we ever learn, that we are all one, so we live with compassion, not bent on hurting one another? What can we learn about compassion, about all being one, this Mother’s Day? Edith turned 87 last Saturday. She has recently begun dialysis, so she’s feeling better now, getting back more of her color, more of her spirit. For 87 years, she’s had an indomitable spirit. She needed that to raise her ten children. To give you a sense of her strength — on this Mother’s Day — all you need to know is this: she had three children, ages 4,3 and 1 when she delivered her triplets. Six children ages 4 and under, 3 of them infants. My husband Bob was number 7, and three more followed after him. I’ve learned many things from Edith, my mother-in-law of 32 years, but one that has made a huge impact on me is her generous welcome. No matter how many are already in her house, there is always room for one more at the table. We just push in closer and put a little bit less on our plates. At the Fallon home, when the doorbell rings unexpectedly, Edith is always delighted, excited to see who might be stopping by, a warm greeting ready. She’s a mother who makes you feel like you belong, even if you’re only an in-law. That you all are part of the family. There’s room at the table for you. Today is a day we honor all those who have these mothering qualities – some of whom we have called “mom” and others we’ve called by different names. Those who generously made us feel that we belong. Who have nurtured us. Those in whose presence we have been able to relax and be ourselves, those who make us comfortable, who make some “home” for us, a safe space, where we don’t have to prove ourselves. Scientists have found that when we feel “mothered” in this way, when we can relax not fixated on defending ourselves from harm, or foraging for the food we need to survive, our bodies have hormonal responses just like those when we are soothed and comforted as babies. As adults, when we experience those feelings — of belonging and comfort — the flow of hormones again makes us yearn for more of it, to slip into the image, found in all cultures, of the mother and child, where the elder generously cares for the younger, makes us feel there will be room at the table for us, that we will be part of the family. Karen Armstrong, a scholar of world religions, says that the word for “compassion” in both Hebrew and Arabic is related, in its derivation, to the word womb — that time, lost in memory to us all, but somehow still known, deep deep down, when we and those who birthed us were one. On Mother’s Day, isn’t it the day to ask, When will we ever learn, that we are all one? It’s not easy. On the one hand, our human brains have evolved to provide us the capacity to subordinate our own needs, in order to care for our young. Humans are born very prematurely; we’re the species that takes by far the longest to develop to self-sufficiency, so adults must put the interests of the young ahead of their own if the young are to survive. We’ve can be compassionate. In the last few weeks, we here in Boston have had ample reason to question which part of our human instinct will prevail – the reptilian instincts for fight or flight, or our human capacity for compassion. The lead story in The Boston Globe on Thursday was about this. After weeks of articles extolling the heroes among us at the Boston Marathon – all those who ran towards the victims, in selfless acts of compassion – this week’s story reflected with those who fled the scene after the bombs erupted. It’s been something I’ve thought about myself: would I have run towards the victims, or away from the chaos and possibility that I would be hurt next? Which way of living has become most dominant in me? The article carefully laid out reasons – good and valid reasons – why not everyone would or could run to help victims, and may have needed to depart: to protect and save children or friends with them; to search for their missing loved ones; because they were instructed by first responders to quickly evacuate the area; because they had no skills to help severely wounded people and might only have been in the way. But according to the article, many who did flee have spent hours since wondering why they did. Why their instincts for self-preservation – for flight – overcame their impulse to be compassionate. to whom the Marathon bombing has been attributed. What powerful, self-protective instinct makes us refuse to bury a dead man? Is it the notion that we must hurt someone who tried to hurt us? We must humiliate him, even after his death, in order to protect ourselves? And for those of us who were appalled by the protests against his burial, but did not speak up about it, what need to protect ourselves may have played a role in our silence? When will we ever learn that we are all one? Dear Friends, if you have ever acted for yourself, when you could have acted for another — which must be all of us in this room -– do not despair. There is good news, in our gospel. There is also good news from Karen Armstrong, the scholar of world religions, in her little book, published in 2011, entitled Twelve Steps to a Compassionate Life. I urge you to read it, if you haven’t already. She is convinced that we can all live with greater compassion, if we choose to practice living that way, day by day. Armstrong’s thesis is that in every single one of the world’s major religious traditions, the bedrock principle is compassion, spelled out in what we in the West call the Golden Rule. That we are to do for others that which we hope they would do for us. That we must refuse to do to others anything that we would not want done to us. This is what was taught by Confucius and Buddha, as well as by Jesus, Mohammed, and the Jewish prophets. Through each of these traditions, humans have found ways to nurture within ourselves the habit of being compassionate, so that it becomes the dominant driver in our lives, rather than pure self-preservation. What a relief –- because if all the great world religious traditions share this commitment to compassion, then religion is not what divides our world, but can be a force that binds us as one, in compassion for one another. Armstrong argues, and I agree, that what divides us is not religion. What divides us is what always has led to world conflict: greed, envy and ambition. Battles over land and money and power. Desires to dominate others. The things that grow right from our reptile brains, when we are most afraid, trying to protect our territory or tribe. Religion is the rhetoric that leaders use to “sanitize” these motives of greed, envy and ambition, to cloak the more ugly roots. Religion is not the cause of the conflicts. In fact, if the power of compassionate religion — the Golden Rule — were unleashed, we’d do only to others what we’d want done to ourselves. We’d have learned that we are all one. Can we resurrect this true core of all religions? When will we ever learn? Did you know that all the great world religious traditions were developed during the same time period – called the Axial Age – from about 900 BCE to 200 BCE? On the Indian subcontinent, there developed Hinduism, Buddhism and Jainism; in China, Confucianism and Daoism; in the Middle East, Judaism, the root of the other monotheistic religions Christianity and Islam, sometimes called the Abrahamic traditions because they all trace their roots back to Father Abraham; and in Greece, philosophical rationalism. Each developed at a time when society faced a crisis – perhaps as we do now. First, violence had escalated with the increased deadliness of weaponry. That meant that old tribalism – keeping our own tribe secure against others who are different – no longer worked to protect most human life. Weapons were more and more deadly, and the territories humans could claim as their own became bigger and bigger. Tribalism created increasing violence, as more people could be slayed in conflicts. Second, economic advances seemed to lead to more suffering, not less. As agriculture allowed people to cluster more in towns and cities, no longer having to migrate to hut and gather their food, economies developed, but with greater resources came larger divides between the rich and poor. In the Hindu tradition, for example, external rites of animal slaughter for sacrifice, and increasingly violent war games were replaced with an emphasis on the interior life. On the Indian continent, far before our insights of psychology, they understood about unconscious impulses, and sought ways to find the “atman,” or true self, who did not react simply to our instincts and impulses. They believe that one force — which they called Brahman — lies behind the whole universe, and by finding our true selves we can unite with that one force. Buddhism, which grew from the Hindu tradition, seeks to develop an increased capacity for human compassion, on a sustained basis, where our primal fears no longer dominate us. And Siddhartha Gautama, who became the Buddha, made clear to his followers, for him the greatest goal was not simply reaching this state of nirvana or enlightenment for himself, but returning to teach others how to live in ways freed of fear. In China, about 500 BCE, the sage Confucius was horrified by the unrelenting pursuit of luxury by the elite and the devastating loss of human life as warlords fought viciously with one another. His teachings spoke of treating others with deep respect and reverence– beginning in one’s family – but in a practice he hoped with ripple out to everyone. In politics, he urged leaders to treat one another as they would like to be treated. If you yourself desire rank and power, he said, then help others get rank and power also. In Judaism, the great rabbi Hillel, an older contemporary of Jesus, was asked by a pagan to recite the whole Torah while standing on one foot. Hillel said, “Do not do to others what you would not want them to do to you. This is the whole of the Torah and the rest is only commentary.” Other famous rabbis cited the scriptural wisdom that we all descend from one man, Adam, to show that we humans are all fundamentally united as one. God created only one man at the beginning of time to teach us that destroying a single life is equivalent to annihilating the world, while to save a life redeems the entire human race. Because we are all made in God’s image, to humiliate anyone – even a slave or a non-Jew – is a desecration of God’s image. My dear friends, with all this that we share, across our global traditions, when will we ever learn that we all are one? That there is room at the table for us all? Karen Armstrong’s little book was written after she received a “TED” award in 2007. It’s a private nonprofit organization best known these days for highlighting ideas they think are worth spreading – they have conferences and I regularly watch their 18 minute videos on the web, quick synopses of remarkable ideas. The very best of the TED thinkers, like Armstrong, receive a $100,000 grant to use towards a wish they have for a better world. Armstrong used her funds to start a Charter for Compassion, which was written by the leaders of all the major world religions and completed in 2009. It can be found on the internet, and explains in far more detail what I have just hinted at here. And it suggests ways we can daily begin to develop compassion for all – so that compassion becomes our watchword, over our human instinct for self preservation. So that compassion is something we can offer even our enemies. Compassion – daily practice of the Golden Rule, so it becomes our dominant habit – has been taught by wise ones over the millennia, to counter economies that were so driven by self-interest that peoples stopped caring adequately for the poor – while some lived in luxury, others slept in the streets. The great spiritual advances of the Axial Age came about when weapons became so destructive that they could wipe out whole peoples. When violence became so commonplace that thoughtful people said “Enough!” When fear became so dominant, that compassion seemed pushed to the margins, said to be impractical. Irrelevant. An old fashioned idea that only idealists could consider. When will we ever learn, these wise ones said, that we are all one, precious and beloved, deserving to be treated with kindness and reverence? Wise ones, said it, including our own Wonderful Wise One, Jesus. Jesus, an actual figure in history. An actual man, like us, who in the face of poverty and violence chose to invite everyone to his table, always pulling up an extra chair –-for the rich and the poor, for the outcasts and the elite, for the dirty beggars and the well-robed priests, for his own Jewish friends and for the rival Samaritan woman. Jesus, who said over and over, that we do not need to live from fear, because even the worst that can happen to us or to our beloveds – our deaths – will not be our end. Who said that love –- that compassion — is stronger still. That we will always be one, with each other, and with God. In today’s gospel lesson, Jesus prayed that we will learn that we are all one. When will we ever learn that we are all one? Today, on Mother’s Day, ask anyone who — with a mother-like love — has ever told you, There is room at the table for you in our one, big family. May we all learn, beginning today. It’s the hope of Jesus. It’s the hope of the world. This entry was posted in English entries and tagged Leftism, sermon, spirituality. Bookmark the permalink.